Thank you for following Yahoo Singapore's coverage of the AirAsia QZ8501 disaster. We are concluding our updates to this page, but we will flag any new developments through our social media channels and front page. 10:10am: Just 23 ships are involved in the search for more bodies and the fuselage of the downed jet today, with focus placed on the site where it is believed to be. Search and rescue officials have confirmed that the Cockpit Voice Recorder of QZ 8501 has been found and was lifted from the seafloor on Tuesday morning. It has since been retrieved and sent to Jakarta for further investigations by Indonesia’s National Transportation Safety Committee. According to BASARNAS, the recorder was found about 20 metres from where the plane’s flight data recorder was found the day before. BASARNAS chief Henry Bambang Soelistyo reassured the families of the victims that retrieving the passengers remains would remain a chief priority even as underwater currents and bad weather hampered rescue efforts. He said that locating bodies underwater was far more challenging than doing so on the surface, especially since BASARNAS had initially thought that the bulk of the passengers would be found inside the aircraft. Instead, all 48 bodies found so far were ‘spread out in the sea’. To date, out of a total of 48 bodies found, 36 have been positively identified. Two more passengers were identified as Oscar Desano and Yuni Astutik on Tuesday by the Disaster Victim Identification Police Department. The crashed airplane's flight data recorder has been retrieved from the crash site and transferred to Jakarta where experts can conduct a lengthy analysis, said search chief Bambang Soelistyo. According to media reports, it will take up to two days for information from the black box to be gathered. Meanwhile, the cockpit voice recorder has been located but is still underwater. Two more bodies have been identified today — 20-year-old Elisabeth Youvita and 37-year-old David Gunawan, both of whom are Indonesians — taking the total to 34 out of the 48 bodies that have been recovered from the crash site so far. This information is from Indonesian media reports citing East Java Police medical and health department chief Budiyono in an afternoon announcement. Indonesia's transport minister Ignasius Jonan has also appointed seven new officers to head several of its civil aviation department, Indonesian media reports. Indonesian authorities confirm that the black box of AirAsia QZ8501 has been located. A press release on Sunday 11 Jan says navy divers located the black box wedged between pieces of wreckage at a depth of about 30 metres. The black box will be retrieved on Monday morning. On Sunday, search teams also said they have detected the fuselage of the plane. Indonesian authorities also assured family members of those on the plane that the search for passengers' remains is still a priority. To date, 48 remains have been recovered and 29 have been identified. Investigators searching for black boxes in the crashed AirAsia plane lifted the tail portion out of the Java Sea on Saturday. Rescue teams used inflatable bags and a crane to hoist the tail onto a rescue ship. 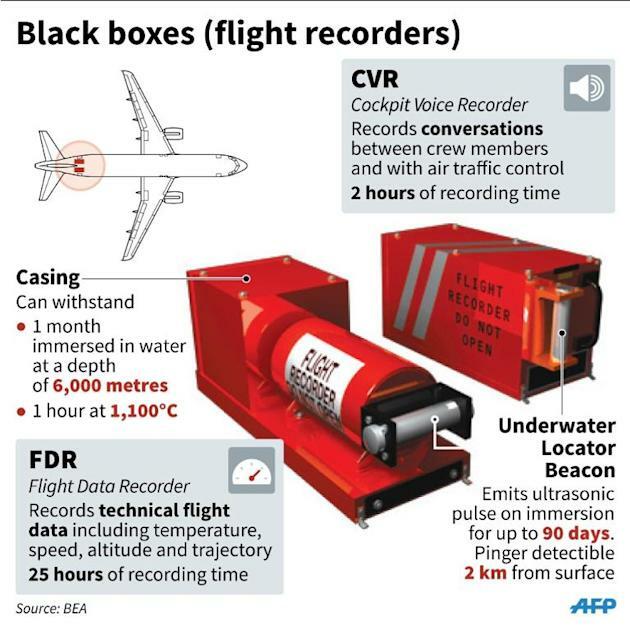 The black-box data recorders of AirAsia QZ8501 may have separated from the plane’s tail upon impact with water, said an Indonesian official. Indonesian President Joko Widodo has ordered insurance be paid out to the Indonesia AirAsia crash victims' next of kin, regardless of the flight's legal status. Indonesia's transport ministry said Friday it had suspended 61 domestic flight routes operated by national flag carrier Garuda and a group of budget airlines because they did not have permits. Investigators have detected pings from what may be the plane’s black boxes, said an official from the National Transportation Safety Committee. Sea divers were deployed to attach “floating bags” in their efforts to retrieve the aircraft’s tail piece, which is partially buried in the seabed. Seven more bodies were recovered on Friday, while other debris like part of the plane’s ceiling and a life vest were found in the search area. Separately, two more victims have been identified as Martinus Djomi and Marwin Sholeh, bringing the total number of identified remains to 27. Out of the 162 on board, only 48 of the passengers on the flight have been found. Indonesia’s Minister of Admnistrative Reform has told AirAsia that it will have to pay compensation of up to 1.2 billion rupiah (S$127,000) to the families of victims who have been identified. Yuddy Chrisnandi said that the amount would have to be paid within seven days of identification and in full, adding that the airline has only paid a maximum of 300 million rupiah (S$32,000) per victim so far. Meanwhile, search and rescue efforts continued to focus on the complicated retrieval of the tail section of QZ8501, where the all-important black boxes are believed to be located. Although weather conditions have made the search easier on rescue teams, the tail section is upside down and partially buried in the sea floor, and AFP has reported that search teams are considering airlifting the wreckage to retrieve the boxes. Another four bodies were recovered, bringing total body count to 44, says BASARNAS. One more body has been confirmed to be passenger Djoko Suseno, 43, bringing the total number of those identified to 25. Search and rescue officials have confirmed that they have found the tail section of the QZ8501 plane. 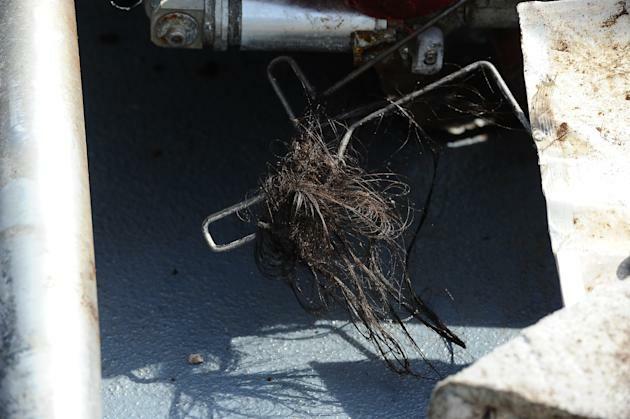 The tail, which was marked with the plane’s registration number PK-AXC, was spotted and verified by sea divers. It was found about 30km out from the primary search area, and has raised hopes that the black boxes will be found soon as the data recorders are usually stored in the plane’s tail. BASARNAS has confirmed that they will now focus the search operations around the area the tail was found as they fight against time to recover more bodies. Eight bodies were identified on Wednesday, bringing the total number of bodies identified to 24. The eight identified are Ratri Sri Andriani, 30, Ruth Natalia Made Puspita, 26, Jou Christine Yuanita, 62, Soetikno Sia, 60, Rudy Soetjipto, 60, Niko Giovani, 17, Indah Juliangsih, 44 and Stephanie Yulianto, 14. One more body was found on Wednesday morning, and is in the process of being identified. This brings the total body count to 40 out of the 162 who were onboard the ill-fated flight. Two new bodies were recovered on Tuesday, bringing the total body count to 39. Out of which, only 16 have been identified. Three new bodies were identified on the same day and they are, Indra Yulianto, 51, Hindarto Halim, 61, and Jou Brian Youvito, 19. The three victims were found still strapped to their seats. Insurers have begun processing claims in the plane crash, according to an official from Indonesia's financial services authority. After Indonesia's transport ministry said that AirAsia did not have permission to fly the plane's Surabaya-Singapore route on Sunday, there had been speculation that insurance payments might not be made. The next-of-kin of each passenger would get at least S$130,000 in claims, according to Indonesia's financial regulator. Search was focused on the eastern part of Java Sea; over 50 vessels, helicopters observing the area. 80 deep divers also involved in search, which has moved eastwards to adjust for shifting currents. It was extended by a further 17 nautical miles eastwards by mid-day. A Russian team detected objects that could be AirAsia debris - described as big, red, orange and white in colour, reports the Jakarta Post. A military air base chief told the paper they also found a "black square". Four air traffic control officers from Surabaya's Juanda International airport have been suspended, reports Indonesian media portal Detik.com. The suspension is part of a larger crackdown on Indonesia's air safety problems, the transportation ministry revealed. In addition to the suspension, licenses and schedules of all airlines flying in the country also will be examined to see if they are violating the rules. Search operations for AirAsia flight QZ8501 resumed, spreading eastward in slightly clearer weather Monday, with rescue teams picking up another three bodies, bringing the total count of victims retrieved from the crash site to 37. At least three found so far were discovered still strapped into their seats, reports quoting BASARNAS Director of Operations Suyadi Bambang Supriyadi in a press briefing said. Another four people were identified officially by forensic investigators as well — 45-year-old Shaime Josal, 42-year-old Tony Linaksita, 61-year-old Lim Yan Koen and 53-year-old Yongke Jou — bringing the total number of people identified to 13. All 37 victims were by Monday flown to Surabaya for identification, where more than 200 disaster victim identification experts are working to verify their identities and return them to their families. So far, all those identified have been Indonesian. Meanwhile, an Indonesia naval captain says his naval patrol vessel may have found the jet's tail, a section where a black box and flight data recorders are located. Separately, Indonesia's transport minister Ignasius Jonan on Monday mandated pre-departure briefings for all pilots flying planes out of the country, local media reported. He also ordered local aviation agencies to suspend officials who were on duty during flight QZ8501's takeoff. Meanwhile, Indonesia's military has offered to bring grieving relatives of the flight victims to the crash site off Pangkalan Bun. They will then be allowed to spread flowers into the waters as a sign of respect, reports local news site Merdeka.com. AirAsia chief Tony Fernandes also on Monday downplayed a separate incident that saw an AirAsia plane turn back minutes before takeoff from Surabaya. DAY 8 (Sunday): Divers raced against time to reach sunken wreckage on Sunday but were forced to return to their ship by bad weather as rough seas continued to impede dive and search teams. Officials believe they are close to find the all-important black boxes after pinpointing five large objects on the sea floor. Indonesia's BASARNAS chief said in a media briefing that the debris found so far indicates the body of the plane is broken, and all search efforts will be focused on locating the tail of the plane. "Time is of the essence," he says, as currents are shifting debris east-wards and bodies have started to decompose, making identification difficult. Another four bodies were recovered on Sunday, bringing the total body count recovered so far to 34. Bad weather was 'triggering factor' which caused doomed AirAsia flight QZ8501 to crash, says a report by Indonesia's weather agency. A leaked report from Indonesia's Meteorology, Climatology and Geophysics Agency also claims the pilots of doomed QZ8501 did not receive the mandatory weather report before take-off last Sunday, violating procedures. Four large objects were detected on the sea floor on Saturday – a discovery that signals a breakthrough in the hunt for the wreckage of AirAsia QZ8501. Search and rescue crew are sending underwater remote-operated vehicles to take underwater pictures of the location where the main wreckage and two large objects were spotted but rough seas are making it difficult. The biggest piece measures 18 metres long and 5.4 metres wide and appears to be part of the plane’s body, said chief of the National Search and Rescue Agency Henry Bambang Soelistyo. Indonesian authorities also grounded AirAsia flights from Surabaya to Singapore. Indonesia's Transport Ministry says flight QZ8501 had been flying on an unauthorised schedule when it crashed. Singapore’s Civil Aviation Authority has clarified that airlines need to obtain separate approvals for flights from respective civil aviation authorities at each end of a route and that AirAsia had been approved to fly the route daily at the Singapore end. It added that Indonesia AirAsia was operating the flight four times -- Mondays, Wednesdays, Fridays and Sundays -- but said airlines may adjust their flight frequencies in the course of a season. Indonesia's transport ministry says AirAsia had not been granted permission to fly the route but not on Sunday. It has since launched a probe to investigate AirAsia’s flight schedules. Djoko Murdjatmodjo, Indonesia’s acting Director General of Air Transportation said it is possible that AirAsia’s license in Indonesia could be revoked. Meanwhile, a report by Indonesia’s weather bureau suggests that the formation of ice in storm clouds caused by extreme bad weather may have caused the crash of AirAsia flight QZ8501 in a 14-page report. Two passengers were identified - Hendra Gunawan Syawal and The Meiji Thejakusuma. DAY 6 (Friday): A total of 30 bodies recovered by search teams. Of the 30 recovered so far, 21 were found on Friday, many by a U.S. Navy ship, the USS Sampson. Col. Yayan Sofiyan, commander of the warship Bung Tomo told MetroTV his team has recovered seven bodies from the sea, with some still fastened in their seats. He also told Metro TV that the tail of QZ8501 was spotted. Three more passengers on board the flight were identified by the Disaster Victim Identification Police Department of Republic of Indonesia, said AirAsia in a statement. They are Grayson Herbert Linaksita, Kevin Alexander Soetjipto and flight attendant Khairunisa Haidar Fauzi. DAY 5 (Thursday): Bad weather and strong waves between three to four metres high hampered search efforts again on the first day of 2015. So far, nine bodies have been recovered. Indonesian search agency BASARNAS says eight of nine bodies have been sent to Bhayangkara Hospital for identification. Over 90 vessels and aircraft -- including two Singapore vessels with underwater locator beacon detectors -- from the US, Malaysia and South Korea, have been dispatched to the sea search area to assist in locating wreckage, says a statement by AirAsia. Singapore now has a total of five ships deployed in the search. Two bodies were identified on Thursday - Hayati Lutfiah Hamid, and university student Kevin Alexander Soetjipto. 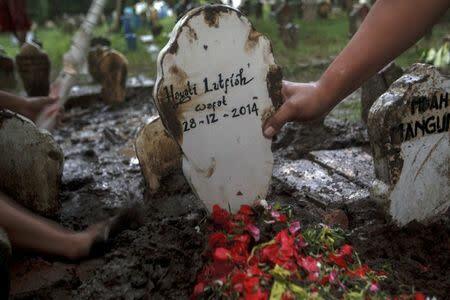 Hayati's body was on Thursday evening buried by about 150 people. Hayati — the first victim to be buried -- was identified in post-mortem through her thumbprint, personal belongings, a necklace with her name on it and her identity card. Families are ferried from Juanda International Airport in Surabaya, to accommodation nearer the hospital, so they can more quickly ID the recovered bodies. At Bhayankara hospital, cold containers are ready to store up to 150 bodies, while 130 ambulances stand ready. DAY 3 (Tuesday): Indonesian president Joko Widodo stressed that the key focus of the country's efforts is on the retrieval and evacuation of passengers and crew from the area, alongside debris from the plane. Singapore's Civil Aviation Authority said a total of 40 registered passenger next-of-kin have been flown to Surabaya to join hundreds of other relatives there. It said it will continue assisting and feeding updates to relatives who choose to stay in Singapore. 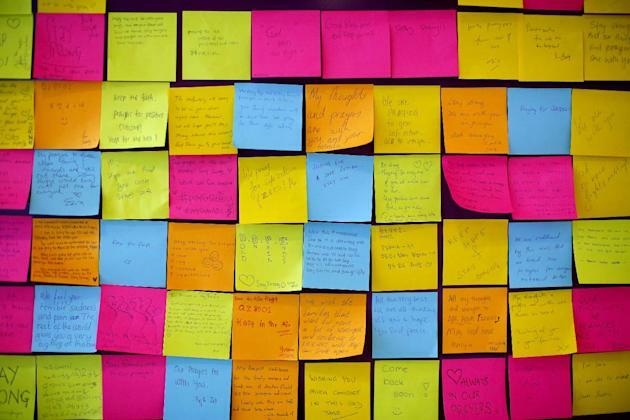 Moving messages have been pinned to a board at Terminal 2 of Singapore's Changi Airport, where people penned thoughts expressing their sadness and support over the disaster and loss of lives in post-it notes. SUNDAY (Day 1): QZ8501 loses contact with Indonesian air traffic control after 6:14am Indonesia time on Sunday, 42 minutes after departure and slightly more than an hour before it was scheduled to land in Singapore. On board are a total of 162 people — 138 adults, 16 children and one infant, making up 155 passengers along with seven crew members (two pilots, four flight attendants and one engineer). The passengers comprise one Singaporean, one Malaysian, one British, three South Koreans and 149 Indonesians, while the crew consists of six Indonesians and one French (the co-pilot). See the full manifest here, and read more about their stories here. Reuters reports that the aircraft was between the Indonesian port of Tanjung Pandan and the town of Pontianak, in West Kalimantan on Borneo island, when it went missing without a distress signal. The plane stayed on its submitted flight plan route before it asked for permission to deviate to avoid "bad weather" described by officials as dense storm clouds, strong winds and lightning. After giving immediate approval at 6:12am Indonesia time to veer left, which the plane then did, Indonesian air traffic control could not permit the jet to rise to that altitude as AirAsia flight QZ8502 was already cruising at that level. The Jakarta Post reports that Indonesian air traffic control then coordinated with its counterpart in Singapore to determine an approved 34,000 feet altitude. When they informed the pilot of the approved height to ascend to at 6:14am, however, they did not receive any response. The pilot in command, Captain Iriyanto, had a substantial total of 20,000 flying hours and over 10 years' experience as a pilot trainer. The first officer, Remi Emmanual Plesel, a total of 2,275 flying hours, said AirAsia, adding that the jet underwent its last scheduled maintenance on 16 November this year. AirAsia has established an Emergency Call Centre that is available for family or friends of those who may have been on board the aircraft. The number is +62 212 927 0811 or 031- 869 0855 or 031- 298 6790 (Surabaya). AirAsia will release further information as soon as it becomes available. Updated information will also be posted on the AirAsia website at www.airasia.com. We've also put together the stories of some of the passengers and crew on board the plane. Read them here.